Please download a job application form here. Any job application must be supported by your CV and a completed job application form along with supporting qualifications and / or certificates. Please only apply if you are willing and able to work Fri, Sat, Sun evenings, and Public Holidays, as these are our busiest days. We are able to offer fixed term employment for travellers who are willing to commit for the winter season through to the first week in November. We are also able to sponsor work visas for two people. Our workplace is an enjoyable environment for staff of all ages and nationalities, we allow for flexibility and where possible set our rosters to suit everyone’s lifestyle. Experience is not essential however you must have a passion to want to work in hospitality which means a smile for every customer, a positive attitude, willingness to work sometimes long shifts and it is essential to have a pro-active attitude in looking for jobs during quieter times. No standing around talking is required. You will learn bar and restaurant skills then progress to the pokies and on-line booking system. You may be required to assist with dishes and from time to time during busy times you may be asked to help with housekeeping. 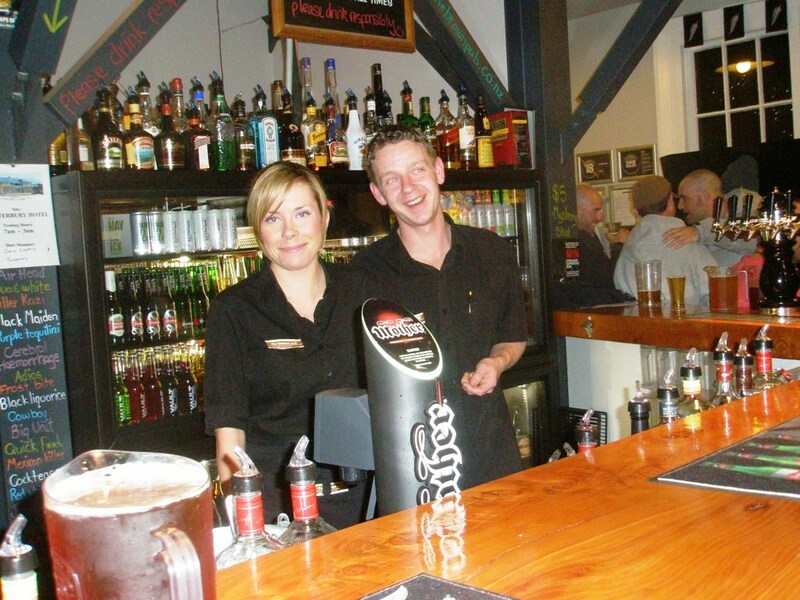 There is opportunity for promotion to Bar & Restaurant Duty Manager. Please Note: The successful applicant must listen and follow written and verbal instructions. 1) Your application will need to include a COVER LETTER telling us about your current circumstances. 2) Where possible, references to include a minimum of TWO previous employers, please provide written permission for us to call or email them. 3) If you are successful in obtaining a position with us you will be required to complete a free on-line ServeWise course to gain an understanding of the NZ liquor laws. If you have a minimum of six months experience working in hospitality, serving alcohol in a pub, bar or restaurant we are interested in speaking with you. One of our managers is heading back to the UK so we will have a fulltime position and you can start training as soon as you are available to do so. Please only apply if you are able to work weekends and public holidays and have a flexible attitude towards work. Some shifts will be long but we have a policy of setting rosters to suit life styles which makes for a happy team. We don’t like negative people who complain so our work environment is a happy positive place. 1/ Your application will need to include a COVER LETTER telling us about your current circumstances. 2/ Where possible, references to include a minimum of TWO previous employers, please provide written permission for us to call or email them. 3/ If you are successful in obtaining a position with us you will be required to complete a free on-line ServeWise course to gain an understanding of the NZ liquor laws.